Life isn’t always pretty. In fact, it can be downright difficult, throwing us curveballs and raising up obstacles, as we strive to navigate the path of our life journey. Don’t lose hope, but continue to press on, knowing that without the Darkness we would not recognize our need for the Light. Light illuminates a given situation revealing what was hidden or lost in the darkness so that perhaps we can interpret what we see, organize our thoughts, overcome our fears, discover our hopes and keep moving forward. 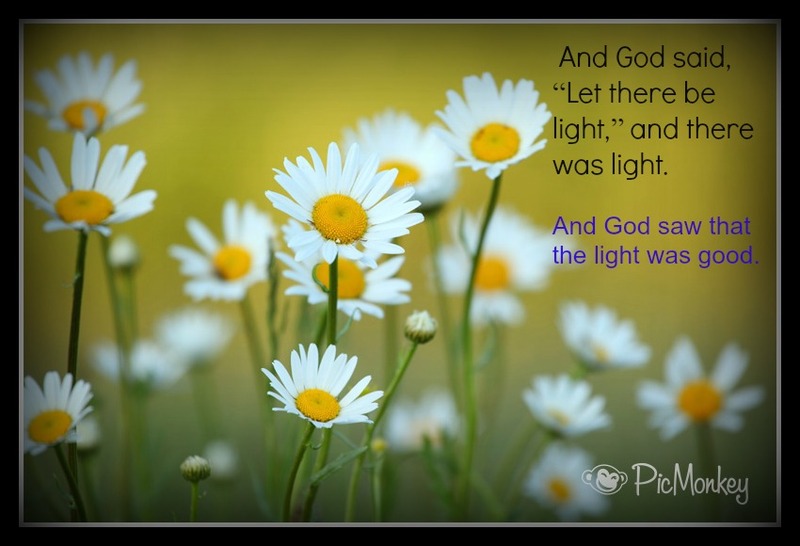 Shedding light on the situation was God’s first act of creation recorded in the Bible after He created the heavens and the earth. Perhaps you are walking through a spell of inexplicable darkness in your life at the moment. You may have been hurt by a loved one or you lost someone you envisioned spending the rest of your earthly life with. Maybe an old hurt from the past has cropped up and is hurting you today and threatens your future. It could be that you find yourself to be your own worst enemy, making decisions that not only hurt you but cause pain to those you love. These are all terrifying things that darken our perspective. There is hope even in the direst of circumstances. An unknown writer first recorded this observation before English theologian and historian Thomas Fuller rekindled it in his spiritual narrative A Pisgah-Sight of Palestine and the Confines Thereof in 1650 A.D. It rings true today just like it did way back then. There must be a crucifixion before there can be a resurrection. Don’t rely on your own strength. Rest in God’s ability. Scripture tells us that there is nothing impossible for the Lord and that with the Lord we can do anything. Yes, there will be valleys between the mountain tops. Yes, there will be storms along the way and even though it may feel like the very ground beneath us is giving way, causing us to wobble and tremble, God can, and will, see us through. As you face the week that lies ahead, bearing whatever burden you may be carrying, be encouraged. Even though you may not be able to presently see it, there is light at the end of the tunnel; there remains a hope eternal. Do not despair my fellow sojourner. Lift your eyes up and look to Him. He will not fail you. The Holy Bible: English Standard Version. (2001). (Ge 1:3–4). Wheaton: Standard Bible Society. Crawford, C. C. (1919). Sermon Outlines on Acts (p. 252). Cincinnati, OH: Standard. The Holy Bible: English Standard Version. (2001). (Php 4:13). Wheaton: Standard Bible Society. The Holy Bible: English Standard Version. (2001). (Ps 23:title–6). Wheaton: Standard Bible Society.